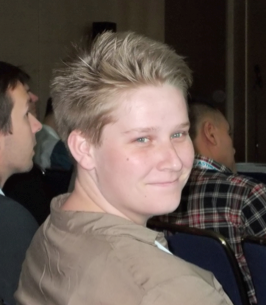 It is my great pleasure to introduce Victoria Rautenbach from the Centre of Geoinformation Science (CGIS) at the University of Pretoria (UP) in South Africa. as our GeoAmbassador. It is even more great pleasure to have another GeoAmbassodor Dr. Serena Coetzee (the GeoForAll chair of Africa and who all of our colleagues will already know) who nominated Victoria for us. I have been always amazed and inspired by the work that Serena and colleagues have been doing in South Africa. I first met Serena at ICC Dresden in 2013 where she also presented her ideas at the ICA Commission meeting of Open Source Geospatial Technologies meeting. I have not yet got the opportunity to meet Victoria but I am aware of her great work and contributions to Open Principles in Geo Education. I want to thank Serena for introducing to us a great colleague as our GeoAmbassodor of the month and sending us all the details. Victoria is an enthusiastic contributor to open source / open data / open education work at University of Pretoria. She uses open source software, such as QGIS, GeoServer and PostGIS, in the modules that she teaches and is the first port of call for open source software support for students. She engages students in open data events and has arranged a number of events to introduce geoinformatics to school children. Below a few recent examples. In 2014, Victoria helped to introduce the use of open source software in the final year project of geoinformatics students. 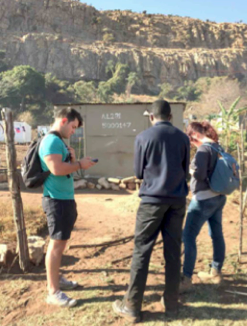 Since 2015, the students have mapped the informal settlement called Alaska, in Mamelodi East, Pretoria (the name was given by locals because of its remoteness from the Pretoria city centre) for their project. After capturing data, such as dwelling numbers and tap distribution, various maps and 3D images were developed to show the current situation in the settlement. The data and maps assist local NGOs in the settlement with identifying and addressing symptoms of poverty, lack of security, and health concerns. This year, the students are improving the data and plan to add the footpaths to OpenStreetMap. 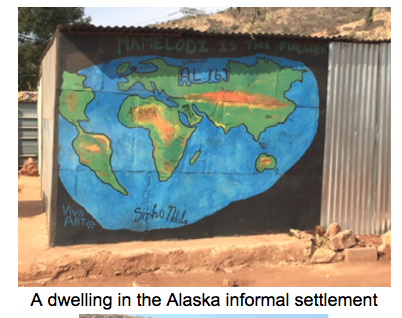 A 2015 student blog describes their work and impressions https://mamelodimappers.wordpress.com/ . Victoria has also been involved in a number of student events to promote open data. The concept of an open data quest, started by SciBraai and Code4SA, is a South African initiative that encourages individuals from various backgrounds to discover and use South African data to find interesting stories and to create powerful visualizations. 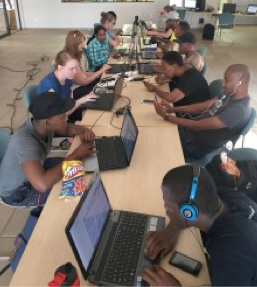 In October 2015, the National Data Liberation was hosted at the Innovation Hub by Code4SA, geekulcha and Open Data Durban. Victoria Rautenbach competed at the event together with two UP students, Tshepo Mahudu and Sean Cullen, and another South African student, Nadia Oosthuizen (CSIR, Rhodes University), and Madi Hanekom (private consultant). They participated as Team DataDevils. The team used the 2013-2014 national protest data to create a visualization of the impact of protests on three economic hubs in South Africa. The DataDevils team was awarded first prize for their visualization at the Pretoria event. In April 2016, CGIS hosted a DataQuest on open data from the South African National Treasury. The aim of the event was to encourage participants to develop innovative data visualisations, stories and app ideas, using this local municipal budget information. For example, one participant designed a visualisation to show government spending per student at each South African university. 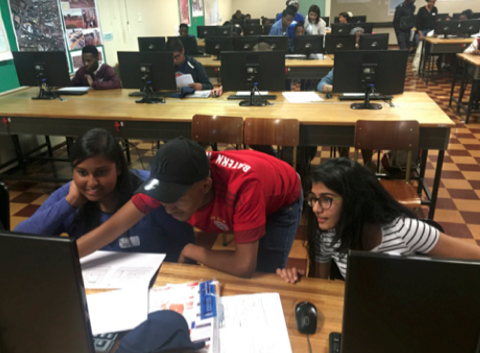 In August and September 2016, learners from a number of schools were invited to spend a Saturday at UP to learn about geoinformatics. Most learners were from Mamelodi (close to UP), but a few had travelled from as far as Limpopo (approx. 300km) and KwaZulu-Natal (approx. 600km) to attend the event. Each day started with short talks by UP staff members, UP students and professionals from industry. The talks provided insight into the work of a geoinformatics professional. Subsequently, the learners collected data on campus during a scavenger hunt and used this data to create a map of the campus. A YouthMappers map-a-thon in October 2016 contributed to the Peace Corps efforts in Botswana. The aim of this Humanitarian OpenStreetMap Team (HOT) task was to contribute to a better base map for 45 sites in Botswana. 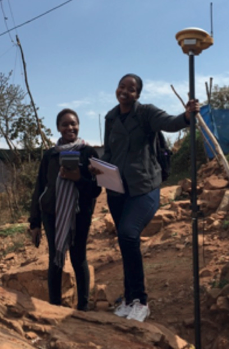 The group of mappers mapped buildings and roads that would ultimately support long-term development and HIV projects in Botswana. The group used both OpenStreetMap and MapSwipe for the map-a-thon. More information about CGIS activities can be found in the annual reports on the website at www.up.ac.za/cgis. Geo for All is a worldwide movement that provides immediate benefit to the world. We aim to create openness in Geo Education for developing creative and open minds in students which is critical for building open innovation and contributes to building up Open Knowledge for the benefit of the whole society and for our future generations. I am truly inspired to understand more about the amazing work done by Victoria and colleagues at the University of Pretoria. We are proud to honour Victoria as our GeoAmbassodor and we are extremely grateful for her contributions to Geo for All. This entry was posted in Newsletter, OSLabs and tagged geoambassodor, open geo, south africa by Suchith Anand. Bookmark the permalink.